Since 2006/2007, Pharos University, in Alexandria, has established a Quality Assurance Center and quality assurance units in its faculties. Nowadays, QAC is an administrative unit supervised by the Vice President for Education and Student Affairs. QAC is concerned with applying an academic and administrative evaluation system that ensures quality in all components of Pharos University implemented system. 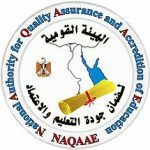 QAC provides the appropriate technical supports to the quality assurance units of the faculties in order to qualify them to obtain accreditation from NAQAAE. Pharos University seeks to be one of the leading universities in Egypt, in terms of education and scientific research, as well as the diversity of its educational programs.